The U.N. and campus activists are uniting behind the evils of anti-zionism. This overt type of anti-Semitism, however, is not the only threat. Just over six weeks after the presidential election, on Dec. 23, 2016, the United Nations Security Council adopted a resolution that condemned the building of Israeli settlements in any area outside of Israel’s borders prior to the 1967 Six-Day War and defined the Old City of Jerusalem as occupied territory. The United States abstained from the Security Council vote, which prompted many Jewish organizations to emphasize that the U.N. has historically been anti-Israel and to criticize the Obama administration for failing to veto the resolution. Indeed, in her abstention statement, U.S. Ambassador to the U.N. Samantha Power said, “One need only look at the 18 resolutions against Israel adopted during the U.N. General Assembly in September, or the 12 Israel-specific resolutions adopted this year in the [U.N.] human rights council — more than those focused on Syria, North Korea, Iran and South Sudan put together — to see that in 2016 Israel continues to be treated differently from other Member States.” And yet Power abstained. The reality is that, in the 21st century, Jews around the world, including in the United States, are still targets of anti-Semitism. Some of that anti-Semitism, particularly in the aftermath of the presidential election, is overt. But much of it is more subtle, like the actions of the United Nations, which attacks the policies of the state of Israel in an effort to delegitimize the broader idea of a Jewish nation-state. This is the “new anti-Semitism” that has erupted on many campuses in the United States and Europe. What is most surprising about this form of anti-Semitism is that it thrives in part because of the widespread desire on campuses to promote political correctness. At Dartmouth, the new anti-Semitism often manifests in regular discourse that seeks to highlight “oppression” or “inequality.” Often, it is the same students who fight for progressive causes, such as LGBTIQ and women’s rights, who choose to single out and condemn the only country in the Middle East that provides equal rights under the law to both LGBTIQ citizens and women. On April 30, 2016, the Gender Research Institute at Dartmouth invited professor Jasbir Puar, someone who I believe is anti-Semitic, to campus for its “Archipelagic Entanglements” panel. Although the stated topic for the panel was “Gender Matters: Feminist Ecologies and Materialisms,” Puar used her time to make gruesome and unsubstantiated claims against Israel. 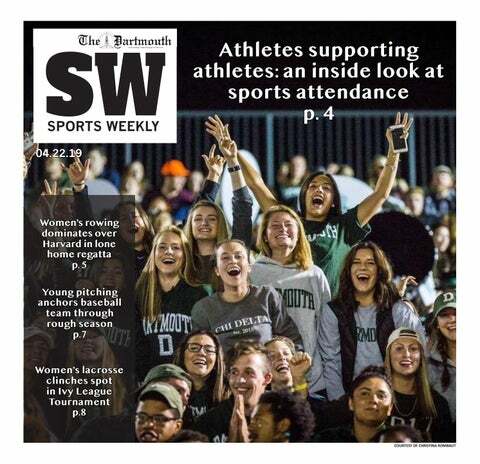 Notwithstanding the lack of evidence supporting her claims, which included the baseless accusation that the Israeli Defense Forces have a policy of shooting to cripple or maim Palestinians, Dartmouth allowed Puar a platform to disseminate her anti-Semitic vitriol as the uncontested truth. A Jewish student who sought to film Puar’s remarks was allegedly confronted by the director of GRID, threatened with arrest and required to leave the event. Neel Ahuja, an English professor from the University of North Carolina at Chapel Hill who was also speaking at the panel, said after Puar’s presentation that in attempting to film her, the student had “disrupted … [Puar’s] space” and “that controversy about filming and recording [Puar’s] talk fulfills a certain algorithmic militarism.” This sort of rhetoric is exactly the reason why political correctness is toxic to academia; Puar and many of her peers claim to be committed to social equality when in fact they are committed to ideological repression. By employing political correctness to silence the critics of self-proclaimed “scholars” like Puar, many universities fall prey to the rising tide of anti-Semitism hidden under the veil of anti-Zionism. Being anti-Israel is in vogue on many campuses. Because anti-Israel sentiments are popular, they are deemed politically correct. Being pro-Israel, on the other hand, is often described as racist. Political correctness serves as a veil behind which anti-Semitism can hide. When political correctness is promoted by academics and university administrators, it fuels a widespread disdain for Israel and promotes anti-Semitism. Last October, a University College London pro-Israel organization invited Hen Mazzig to campus to discuss his humanitarian work in the West Bank. When Mazzig began to address the audience, protesters stormed into the auditorium and put an end to the lecture and barricaded Jewish students in a room. In its response to the events, a UCL spokesman said, “We regret protestors took measures to try to prevent the event from happening but stress that the protest was non-violent.” Video accounts appear to belie this statement. It was only after pressure from pro-Israel groups that the UCL administration admitted that they received “allegations of violence and intimidation” and began an investigation. In initially denying the potentially violent nature of the protests, the UCL administration followed in the footsteps of many American universities, adopting a public relations strategy that appeases anti-Israel protesters and does nothing to make pro-Israel students comfortable with sharing their views. These universities have capitulated to a bizarre political correctness by seldom condemning protesters who align with any supposed progressive agenda. Instead of searching for truth, these universities seek to undermine it. Academics cannot purport to be taking the moral high ground in a fight to end discrimination when they are discriminating against those who disagree with them. College campuses ought to serve their purpose as forums of intellectual diversity, rather than as spaces of free thought for only those who conform to the views of the most outspoken or to the views of the majority. Kauderer currently serves as a fellow for the Committee for Accuracy in Middle East Reporting in America.